Blue Wealth support our clients to make decisions that will give clients more choice now and in the future through property investment. When asking what people want to achieve through property investment the number one answer is financial freedom. Financial freedom often correlates with the ‘great Australian dream’ of owning your own home and being able to retire comfortably. Of late, the consistent housing affordability debate has put the spotlight on the seemingly out of reach ‘great Australian dream’, particularly for our Gen Y’s. Because of this, we’ve seen the rise of Rentvesting with Gen Y leading the charge. So, what is Rentvesting? 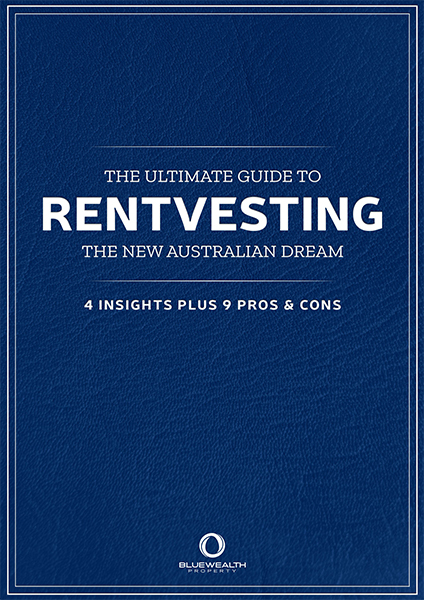 This eBook will explore the new concept of Rentvesting and how you may be able to implement this to achieve your property goals.